In the Educator Spotlight today – 4th grade teacher Amber Kuehler! My name is Amber Kuehler and I am wrapping up my fifth year in fourth grade in West Des Moines, IA! Next year I will be moving into a new position in the same building and will be teaching fifth grade reading, science and math. I am so excited! I have been married for four years and we have a two-year-old daughter that is as obsessed with books as I am (I LOVE IT!). I have always been a city girl (despite living in Iowa…) but we just bought an acreage outside of Des Moines and so far I am loving country life. Teaching is a second career for me and switching careers to education has been one of the best decisions I have ever made. I love just about everything about my job. The kids keep life interesting on a daily basis, I regularly feel rewarded and valued and my job will always be a challenge because it is never done and always evolving. I have always been a reader. From a young age, my parents fostered a love of reading and we were never left without books in our house. My childhood was filled with trips to the library and the bookstore and I am so grateful for that gift. I can still remember begging my mom to stop at the book store on her way home from work to buy me the latest Fear Street book (true story, right mom?). As a child, I loved Amelia Bedelia and Encyclopedia Brown. From there, I discovered Charlotte’s Web and Roald Dahl after my teacher read aloud James and the Giant Peach. After that I discovered my characters could live longer in series and I fell in love with the Sweet Valley Twins (which continued with Sweet Valley High) and the Babysitter’s Club books. After that, I loved R.L. Stine (Goosebumps and Fear Street) and Christopher Pike books. I also went through a phase where I couldn’t get enough of Lurlene McDaniel books (and apparently crying my eyes out because they were so sad!). Reading has always been a huge part of my life and is somewhat of a hobby for me. I love reading and collecting books and I especially love passing that love on to others. Oh, boy. It’s SO hard to pick favorites because I am such a mood reader. My favorite genre is historical fiction and I LOVE Echo by Pam Munoz Ryan, The War that Saved My Life by Kimberly Brubaker Bradley, and Some Kind of Courage by Dan Gemeinhart. Other favorites are Sticks and Stones by Abby Cooper (I’ve read it aloud two years in a row now! ), Insignificant Events in the Life of a Cactus by Dusti Bowling and Amal Unbound by Aisha Saeed. I like books with serious themes and that really stick with me over time – which is probably why I love historical fiction so much! I tend to read mostly middle grade, but I do read a few adult and young adult novels as well! I recently discovered Neal Shusterman and am floored with how good his books are! My classroom library is organized by genre and I have three library helpers that help keep the library organized each day. I do use a checkout system, where the kids just fill out a form for what book they have and the librarians make sure it gets returned. My classroom librarians are amazing and are so organized! I love staying active on Twitter and Instagram. I’m an avid user of Goodreads as well. I love seeing what books other educators are talking about online and adding them to my own ginormous TBR (to be read) pile. I found the majority of my friends online through Nerd Camp, which is an event every year in Parma, Michigan. After the first year I attended I felt the urge to maintain that momentum and spirit that I felt at Nerd Camp and keeping in touch with everyone online has really helped! I am so grateful to all the people in the Nerdy community because they have inspired me to be the best reading educator I can be! How do you share your own love of reading with your students? I post what I am reading and what I just finished on my door. This allows students to see what I’m reading and connect with me over books. Most of the books I read are books that will end up in our classroom library so it is not uncommon for students to ask me if they can have a book when I am done with it! I constantly have books with me and there are piles of them around my room! My kids know that I don’t go anywhere without a book and they have even tried to do the same. I have even had to stop them from trying to bring books on their field trips! What are some of your favorite read-alouds? Why? I love Dan Gemeinhart books for read alouds because the chapters always end on cliff hangers and keep the kids begging for more! My favorites to read aloud are Some Kind of Courage and The Honest Truth. Another favorite read aloud is Sticks and Stones by Abby Cooper. I just love the message in that book. The main character, Elyse, has a fictional disease where words that others say about her end up on her skin like temporary tattoos, but they itch like mosquito bites. It is such a good symbol for when we let others’ words hurt us. How do you encourage less-than-enthusiastic readers? I do my best to get to know students and offer suggestions without cramming it down their throat. I don’t want to be too overbearing, but I am honest with kids and they know my goal is to turn them into a reader. I noticed a “reluctant” reader on Friday finishing Crenshaw by Katherine Applegate and he had that focused look on his face that said I’m-reading-don’t-you-dare-mess-with-me and I about cried. When I went to pull another Katherine Applegate book for him, I realize he had already read The One and Only Ivan AND Wishtree and I about cried again! My job with him is definitely not done, but a little bit of a wall has broken down and that makes me so happy. With kids that are less-than-enthusiastic I tend to pull out audiobooks and instead of small group lessons, we will spend time listening to the book and following along. I will often stop the audio to pull out a word or two (which they hate when I do that because they want to keep listening) but other than that, the lesson is truly just about enjoying a book. Strangely enough, playing an audiobook in the classroom with a small group while the rest of the class is working keeps everyone pretty quiet. You would think the opposite would be true (because we don’t wear headphones) but I think students like to hear the audio playing during reading workshop! Audiobooks are always my secret that I’m really to share freely. They give access to students that would not have access otherwise. You can find Amber on her website Teachers Who Read and connect with her on Twitter (@iowaamber), Instagram (@iowaamber), and Facebook. In the Educator Spotlight today – 3th grade teacher Aliza Werner! My name is Aliza Werner (pronounced Aleeza) and I have been teaching since 2005. Currently, I teach third grade in Glendale, Wisconsin, in the district in which I grew up! I serve on the Wisconsin State Reading Association’s Children’s Literature Committee and I write for the collaborative education blog Classroom Communities (classroomcommunities.com). I am a Curriculum Writer at Milwaukee Film and do year-round work on their Education and Children’s Film Screening Committees. My husband and I love to travel the world…Indonesia to Ireland, Peru to Portugal. We are dog parents to the world’s sassiest wheaten terrier, Liffey. I am a reader, photographer, baseball fan, Boston U. alum, and hot sauce connoisseur. I am passionate about building diverse classroom libraries that provide all children with windows, mirrors, and sliding glass doors, and I am a fierce advocate for choice, access, and time to read. You should really sit down…this could take awhile! We are living in a golden age of children’s literature, which is getting more diverse and inclusive every day. My favorite middle grade authors write books that stay with me long after I’ve closed their covers: Katherine Applegate, Jason Reynolds, Kate DiCamillo, Dan Gemeinhart, Jacqueline Woodson, Nora Raleigh Baskin, Kwame Alexander, Laurel Snyder, Elana K. Arnold, Debbi Michiko Florence, Cynthia Lord, and Celia Perez. Some of my all time favorite middle grade books, including some very recent reads, are: The Honest Truth, The Wild Robot, Ghost (Track series), Because of Winn-Dixie, Tuck Everlasting, The One and Only Ivan, El Deafo, Brown Girl Dreaming, Three Pennies, and Ivy Aberdeen’s Letter to The World. The first book I ever loved was The Little Engine That Could. My parents claim I had it memorized by the time I was three. The repetition of lines, persistence of the characters to get over the mountain, and the “I think I can” mantra was engaging and inspiring to me. Everyone needs a steadfast friend like the Little Blue Engine, literally pulling for them. Most importantly, I heard this story over and over again sitting on the laps of my parents, who never told me I had to go choose another book. How do you create a culture of reading in your classroom or school? A culture of literacy starts with the lead learner…me. My students know from before day one, when they stop by at our late summer meet & greet, that “reading is what we do here”. As soon as my students enter my classroom, and see our library as the heart of it, they know that reading is more than a compartmentalized section of our academic day. As they explore the classroom library and find that their lives, cultures, and experiences are represented there, they become a part of our community of readers. Above all, I value each reader where he or she is on their literacy journey. Some are voracious bookworms and others just haven’t found the right book yet. Children often value what we praise. So if we saturate our days in positive and engaging literacy experiences, more often than not, they want to come along for the ride. I share my reading life by displaying my current book by my “What is Mrs. Werner Reading?” sign, post book covers on a hallway display to track my reading throughout the year, share my authentic reading experiences with my students, post book covers of all the books we’ve read together, share student recommendations via Flipgrid, display student-created books in our library, give student-led book talks, keep TBR lists, use audiobooks and digital reading. We communicate with authors via Twitter and “meet” them through Skype sessions. We hold an annual Read In. We read picture books every day and end our day with a chapter book read aloud. We go beyond the curriculum to participate in The Global Read Aloud, March Book Madness, World Read Aloud Day, Mock Caldecott, and Poem in Your Pocket Day. We live and breathe reading moments into everything we do. How do you make sure that the books your students have access to reflect the diversity of our world? My number one goal as I continually build my classroom library is to add positive and diverse representations of my students and humankind beyond our classroom walls. It is vital that educators consider that diversity goes beyond race and ethnicity. Diversity includes religion, ability/disability, family structures, gender and sexual identity, culture, and more. I am inspired by the young people in front of me every day, and I reflect on this question: Do I have books in my classroom that are mirrors for every child? My Jewish and Muslim kids? The child whose parents are divorcing? The child with two moms? The child who immigrated? The child who has autism? The child who smashes gender norms? The child in foster care? My students’ lives and experiences motivate the new purchases I make for our library. Through my work on the state reading committee, social media, literary organizations and websites, and educator and author friends in my network, I learn about up and coming books, along with treasured titles. It is absolutely vital that the books we share and celebrate include #OwnVoices authors and represent more than a single story whenever possible. Take a picture of something in your classroom and tell us the story behind it. This photo represents everything I love about my new morning routine this year. We call it “Spark & Shine!” After years of struggling with what to do for morning work, I heard about the concept of soft starts. This allows students the chance to start their day the way they want, collaboratively or individually. As adults, we start our day by grabbing coffee, chatting with colleagues, listening to music. Most of us don’t dive into work immediately, especially not with a packet of pre-assigned, undifferentiated work. If I need this daily warm up and wake up, wouldn’t the kids need it, too? Each day my students decide on a choice with the guidelines that they must “Read, Build, Create, Make, Design, Solve, or Explore”. Ever since starting Spark & Shine, my students are excited to arrive at school. They race into the room knowing they can build and create or have a quiet moment to themselves. Some things they have done this year: made slime, built a two-story cardboard castle, stop motion movies, made bath fizzies, origami, Tinkertoys, Legos, IO Blocks, dominoes track designs, cup stacking, making graphic novels, puzzles, spin art, and researching/observing animal bones found outside to identify an animal (as seen in the photo). This way of starting the day also gives me a chance to play and spend time with my kids, starting our day in a fun and positive way. experience that grabs their heart, mind, and soul. It takes building a relationship with that student to research why they are resistant to reading. Is it because they need to hone their book selecting skills or reading habits? Are they yearning for a mirror book, but not finding it? Are life challenges causing them to neglect reading? Once I discover the root of the roadblock, it is much easier to seek out solutions. At any chance I get, I build up these students’ positive experiences around reading. I’ll buy a certain book I hope will hook them and select them as the first reader. Connecting a student to an author can often motivate them. Entice them with a shared reading to start a book, or a first chapter read aloud. Audiobooks and graphic novels are excellent ways to hook readers and bridge them to a world of reading. Focus on relationships with your students first. With every single child. Academics second. It makes all the difference to invest in those bonds. Accept and embrace that you are always learning in this profession. Find your passion within the profession so you can do heartwork, not have-to-work. Read. Read. Read. And then read some more. And write. Self care, above all. Leave the grading at school. Don’t check your email before bed. Do things that make you happy and healthy. Go travel and have life experiences that fill you up. You’ll be a better teacher for it. Since the MG at Heart May pick is Every Shiny Thing, the book I co-wrote with Cordelia Jensen, we’re handling this writer’s toolbox post a little differently than usual. I’m here as both MG at Heart contributor and author to tell you about a challenge I faced when working on Every Shiny Thing and some strategies I used to address that challenge. Every Shiny Thing has two alternating narrators, Lauren, whose chapters are in prose, and Sierra, whose chapters are in verse. I wrote Lauren’s sections, and Lauren…is not exactly a reliable narrator. She isn’t unreliable on purpose. She doesn’t withhold information or tell lies. Greta Olson, who wrote an essay called “Reconsidering Unreliability: Fallible and Untrustworthy Narrators,” would categorize Lauren as fallible rather than untrustworthy. Fallible narrators, according to Olson, are “mistaken about their judgments or perceptions or are biased.” This is Lauren, for sure. She’s mistaken in some of her judgments and perceptions because she has some fundamental misbeliefs. Lauren’s central misbelief is that her parents were wrong to send her older brother to a therapeutic boarding school for autistic teens because the school is not a good place for him. This misbelief leaves Lauren feeling frustrated and alone, and it leads her to question a lot of things about her parents and the privileged world she lives in, which sets the plot in motion. Delicate, indeed! So how did I try to accomplish this feat? Here are three strategies I used. 1.) I built in self-consciousness and desperation at the sentence level to hint at the uncertainty behind Lauren’s words. There’s nothing harder than saying goodbye to Ryan. It was hard enough back in August, when Mom and Dad first took him to his new school. Back then, I knew I’d miss him. And I was afraid that this fancy therapeutic boarding school way far away in the middle of nowhere, North Carolina, wasn’t the right place for him, even though Ry said he wanted to go, and Mom and Dad kept gushing about what a wonderful opportunity it was, and his old occupational therapist, Jenna, said you couldn’t find a better school for a teen on the autism spectrum. But saying goodbye today, at the end of Family Weekend? This was worse. Way, way worse. Because now that I’ve seen the place for myself and seen how Ryan is there, I’m not just afraid it isn’t right. Now I know it’s not. It was awful. Really, it was. Here, I tried to convey the sense that Lauren has a lot of intense emotions she doesn’t know what to do with. Lauren uses repetition and short sentences that pile on top of each other, reflecting how urgently she wants to hold onto her misbelief despite some evidence to the contrary when she says, “This was worse. Way, way worse,” and, “It was awful. Really, it was.” Lauren also goes a bit overboard emphasizing just how certain she is with italics for words like “afraid” and “know.” And when she mentions reasons the school might not seem so bad, she often does so in long, breathless sentences, like the one in this passage about all of the people (Ryan included) who think the school is a good idea. It’s as if she’s rushing past the things that might seem positive as quickly as she possibly can. 2.) I allowed Lauren to admit details that contradict her misbelief…but then she either lets them pass without commentary or discounts them. In addition to admitting all the people who think the school is a good idea, Lauren lists other aspects of the school that might seem positive to people who “aren’t paying close attention.” For instance, she admits, “It’s actually sort of beautiful, with purple-gray mountains in the distance and a long, winding driveway and super-green hills.” But then she moves right past that description to get to the things that aren’t a good fit for Ryan, in her mind. Lauren also narrates moments that show how hard it is for her parents to say goodbye to Ryan even as she worries that they have sent him to the school because they think their lives will be easier if other people are taking care of him. For instance, when Lauren remembers that her mom was crying at the end of the weekend, she says, “For a fraction of a second, I felt sorry for her, but she’s the one who decided it was a good idea for Ryan to go to this terrible school, where he obviously doesn’t belong.” So there’s this split-second recognition that her mom is struggling with this transition and loves Ryan so much…but Lauren isn’t ready to accept that her parents are doing the best they can, so she immediately downplays that. Basically, I tried to include plenty of clues for the reader to process, even though Lauren doesn’t let herself process them. 3.) I showed the source of Lauren’s misbelief so readers could understand where she was coming from. I didn’t want readers to be so frustrated with Lauren’s misbelief that they would stop reading, so it was important to show that she had some good reasons for worrying. Also in the first chapter, Lauren says, “The thing about Ry is, sometimes he goes along with things that make him feel awful because he wants to make other people feel good, and then it all gets to be too much, and he melts down.” Then she gives examples of other times Ryan tried to do what he thought other people wanted him to do and finishes, “So now he might just be sticking out boarding school because he thinks it’s important to Mom and Dad. And then there’ll be nobody around but Scott the Smug OT to comfort him when it’s all too much to stick out.” And in her second chapter, we find out that Ryan attended another school at home where the therapies were detrimental for him, and it took her parents a little while to realize that school was not a good fit. These parts make it clear that Lauren’s worry stems from a deep affection for her brother and past experiences that have made her fears seem plausible. These insights into the valid reasons for Lauren’s not-so-valid belief help readers feel for her, I think. I hope these strategies are helpful for other writers who are crafting fallible narrators, or for readers who are reading books that feature these kinds of characters. And if you read Every Shiny Thing with us this month, I’m sure you’ll notice lots of other ways Lauren’s fallibility comes through…some of which I likely didn’t do consciously. I’d love to hear about them if you do! Our newsletter about Every Shiny Thing will go out on 5/28 and our Twitter Book Club Chat about the book will be on 6/5 at 8pm EST with the hashtag #mgbookclub. Hope you can join us! Laurie Morrison taught middle school English for ten years and is the author of two middle grade novels: EVERY SHINY THING, which she co-wrote with Cordelia Jensen, and UP FOR AIR, which comes out from Abrams/Amulet Books in spring of 2019. She has an MFA in Writing for Children and Young Adults from Vermont College of Fine Arts and lives with her family in Philadelphia. She loves books for older middle grade readers, fresh-baked pastries, being outside, and the ocean. Hi everyone and welcome to Books Between – a podcast to help teachers, parents, and librarians connect kids between 8-12 to books they’ll love. I’m your host, Corrina Allen – a 5th grade teacher, a mom of two girls who are 8 and 11, and feeling extraordinarily lucky on this Mother’s Day to have my mom in my life. And having a mother who is and has always been such a staunch supporter of my reading life. This is Episode #49 and today I’m discussing three new middle grade releases, and then I’ll share with you a conversation with authors Ann Braden and Saadia Faruqi from the Lifelines Podcast. Alright – announcements! I hope you have been loving the May Middle Grade at Heart Book Club pick Every Shiny Thing as much as I have. Laurie Morrison and Cordelia Jensen will on the podcast soon so if you have a question you want me to ask them, please let me know! In June we’ll be reading The Mad Wolf’s Daughter by Diane Magras and July’s pick is Just Under the Clouds by Melissa Sarno. And – I hope you’ve been as inspired as I have by the Educator Spotlight interviews at the MGBookVillage site. We have lots more coming, so keep an eye out! 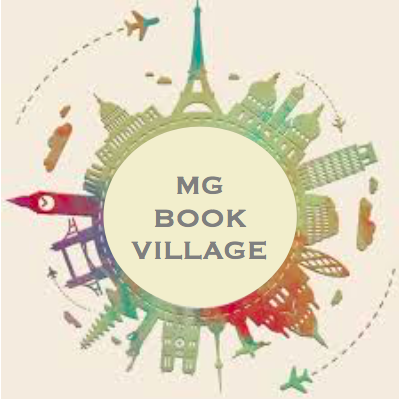 A quick reminder that the outline of today’s interview and a full transcript of all the other parts of this show can be found at MGBookVillage.org – including links to every topic and book we mention. I know you are busy and I want to make it effortless for you to find things! This week we are back to some book talks! And instead of having them fit a particular theme, I thought I’d simply share with you three really great recent releases from this past spring. They are Playing Atari with Saddam Hussein by Jennifer Roy & Ali Fadhil, Me, Frida and the Secret of the Peacock Ring by Angela Cervantes, and Rebound by Kwame Alexander. The main character does NOT actually play Atari with Saddam Hussein. Although as an adult, he does become a translator who ended up working at his trial. In the novel, one way that Ali copes is to imagine that he is playing Pitfall as he travels through his war-torn streets and also because some of the Americans dubbed it “the video game war” because the night-vision green streaks of bombs across the dark sky looked to them like a video game. That this book gives a much-needed window into a time-period that is often overlooked in children’s literature. We are now getting a lot of great books about 9/11 but the era of the Gulf War is still lacking. And many of my students’ parents are veterans of those wars so knowing more about the perspectives of an Iraqi child going through those experiences is important. And humanizes a group of people that some wish to label as enemies. How many similarities students will discover between themselves and Ali. Despite being set halfway around the world in a country the United States was at war with, Ali’s family plays Monopoly while they hide out waiting for the bombs to pass. Ali plays soccer and video games and collects American Superman comics. His sister has a Barbie Dreamhouse! Probably the same one I did with the elevator you pulled up with a little string. And I think back to when I was a teenager watching this war live on CNN with Wolf Blitzer and Bernie Shaw and I never would have realized the kids on the other side of those bombs were so much like me. Playing Atari with Saddam Hussein is a great book for 5th graders through middle schoolers who are interested in the real impacts of war, Iraqi history, or just want a good historical fiction book. And it would make a great complement to the many World War II novel studies out there to add a more modern perspective. I love how Paloma is inspired in this book by her favorite mysterious series starring Lulu Pennywhistle. And as she gets further and further into the thick of things with brother and sister Gael and Lizzie – midnight break-ins, and secret rooms, and strange fortune-tellers – Paloma is always referencing Lulu Pennywhistle to figure out how she should proceed. All the Frida Kahlo!! When I found out this book had to do with my favorite artist – I knew I had to read it. And I was so happy to discover that this book does her such justice. Frida Kahlo’s paintings illicit such a visceral reaction from students and once you tell them a little bit about her life – how she painted her pain and made it beautiful – they are enthralled by her. And yes, some notice the exaggerated eyebrows first and some find it funny. But I like how Paloma discussed that at on page 119. How this book is really all about identity and belonging. Paloma’s father was Mexican but died before she could have her own memories of him. And she feels as if she is searching for that connection while she is in Mexico City. And as Paloma learns more about Frida, she discovers how complex her life was – sometimes feeling torn between being an international artist and wanting the roots of her native Mexican heritage. Me, Frida, and the Secret of the Peacock Ring is a great book for kids who love art or travel, for kids who are intrigued by Mexican culture and the Spanish language – and for anyone who loves a great mystery! The illustrations by Dawud Anyabwile. While The Crossover had black-out poems throughout the book, Rebound includes these awesome two-page spreads of these mini graphic-novel type sketches of Charlie’s basketball daydreams and wishes and memories. So so cool. And a great hook for kids who love the graphic novel format. The 80s vibe of this book! Now, you all know I am sucker for 70s and 80s nostalgia! And this book took me back to skating parties and trying for that high score on the Pac Man machine at the rec center where ALL your friends gathered after school. But also – some things haven’t changed – like Black Panther and the Fantastic Four, the importance the right brand of shoes (and not those knockoffs your mom gets you), Strawberry Pop-Tarts, and your folks not letting you watch THAT video on MTV. Discovering all the little references and plot threads that will appear later in The Crossover. How Charlie becomes Chuck, the origins of his Basketball Rules, where his love of jazz came from – and boy it was NOT there at first! And… the little hidden surprises revealed toward the end about who some of the characters end up being in the later book. And I know there’s a ton more that I haven’t figured out yet – so for that reason alone, definitely a rich book to read with a friend or with a book club to mine and discuss all those little details. Rebound is a must-get for your classroom or library. And fans of The Crossover are going to absolutely relish this prequel. It’s a book you finish and want to immediately talk to your friends about. It’s not necessary to have read The Crossover first, but I think it’s a better and more enjoyable reading experience to read them in the order they were published. So The Crossover, the Rebound, and then go read Crossover again! Our special guests this week are Ann Braden and Saadia Faruqi. Ann is the author of the upcoming middle grade novel The Benefits of Being an Octopus and founder of GunSenseVT. Saadia is an interfaith activist and author of a new early chapter book series called Meet Yasmin. Ann and Saadia recently teamed up to launch a podcast – Lifelines: Books That Bridge the Divide. I have been loving their show and am so happy to be bring you this conversation. We chat about why they started a new kidlit podcast, their novels, how they make time for reading with their kids, and some secrets for the perfect French Toast. Can you take a moment to tell us about yourself? I was so excited to see your new podcast, Lifelines, pop up in my Twitter feed a few weeks ago! How did you two connect with each other and then how did the podcast start? What is your collaboration process like to produce the show? I know when I first started podcasting, it took a while to get into a groove… what mistakes have you made along the way? And what are some plans you have for the future of the podcast? So Ann – your pictures of your baby posed with the stuffed animals is adorable! So Saadia, I started following you on Instagram and realized that you and I share a love of French Toast. What is your secret for the perfect French Toast? You both have children’s books coming out this year! Can you tell us about them and when they’ll be available? What were some of your favorite or most influential reads as a child? I’ve realized that something we all have in common is that we have young children. I’m wondering – how do you foster that love of reading in your family? And how do you make reading a priority when family life can be so busy? Rebound by Kwame Alexander is a prequel to The Crossover. The story is about Charlie Bell who is the dad in The Crossover. Rebound is set when Charlie was a kid and he went through some tough times. Charlie is a normal kid and then something happens to his dad and all that changes. Charlie starts making some bad choices and he gets sent to his grandparent’s house for the summer to “find his smile again”. Then he meets his cousin Roxie who teaches him how to play basketball. Basketball helps Charlie get through his worries and “find his smile again”. I really enjoyed reading this book because I loved the way it was written like poetry. Sometimes in the book there were cool graphic novel illustrations all about basketball. The book made me feel the ups and downs the characters were feeling. I would recommend this book to you, to your friends and to everybody because it has a lot of noticeable life lessons and it is a really good book. What’s up? My name is Nathan and I am 10 years old and in 5th grade. I love to read, especially graphic novels and books about sports. I play lacrosse, basketball and flag football. I like drawing, playing with my family, listening to music, kayaking, hiking, swimming and being in nature. My teacher, Mrs. Allen, loves to read just like me! She encourages me to be the best reader I can be.